Will European Parliament back deal with world's most unfree territory? As the European Parliament shapes up to vote on including occupied Western Sahara into the EU-Morocco fisheries agreement, the newly published Freedom in the World report by Freedom House categorises the territory as the seventh most repressive human rights place on the planet. An aggregate score of four points. 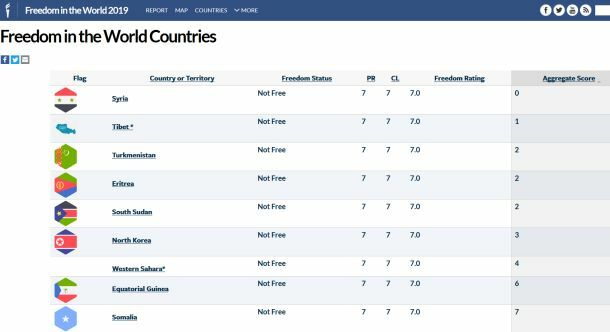 That is how Freedom House scores Western Sahara on its 2019 annual freedom ranking - ranging from 0 (unfree) to 100 (free). To compare, the Gaza strip has an aggregate score of 11, and Russian-controlled Crimea scores 8. 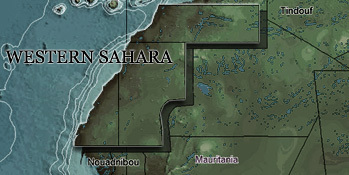 The territory of Western Sahara, under Moroccan occupation, thus ends up as an extreme outlier in the "not free" part of the spectrum. Only six countries and territories have worse aggregate figures: Syria (0 poins), Tibet (1), South Sudan (2), Eritrea (2), Turkmenistan (2), North Korea (3) are rated worse. The report comes at a critical time, as the European Parliament is expected to vote on 13 February on a new EU-Morocco Fisheries Agreement - one that will explicitly be applied to occupied Western Sahara. Arguing for the inclusion of the last colony in Africa in bilateral agreements with Morocco, the European Commission has stated that the human rights situation in Western Sahara is comparable to that in Morocco proper. Freedom House contradicts that statement completely. Morocco has a score of 39, and is categorised as "partly free" - and while thus concerning, it is not nearly as severe as the situation is in Western Sahara. "In recent days, we've seen the EU take the most severe sanctions and foreign policy decisions on human rights grounds ever on Venezuela, which ranks 19. Also, Belarus (19), Russia (20), Iran (18) and Cuba (14) have a substantially better ranking than Western Sahara although the EU makes human rights a priority issue in its dealings with these countries. The double standard and hypocrisy is becoming unbearable, and outright indefensible", says Sara Eyckmans from Western Sahara Resource Watch. Earlier today, 98 Saharawi civil society groups issued an appeal to the European Parliament to reject the proposed Fisheries Agreement. "Our people remains largely excluded from the fisheries sector which is overwhelmingly run and staffed by Moroccan settlers and therefore, the fisheries agreement will only reinforce our exclusion, while expanding the external, illegal control over the exploitation of our fisheries resources", the groups wrote. "Freedom in the World" reports offer since 1972 an annual comparative assessment of political rights and civil liberties in the world. The aggregate scores are based on detailed evaluations of each country and territory on a 40-point scale for political rights and a 60-point scale for civil liberties.